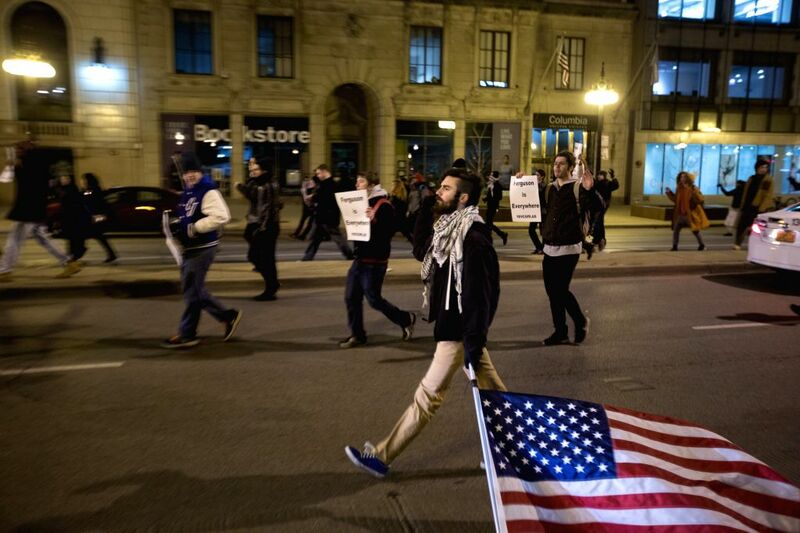 Chicago: Protesters march in a street of Chicago on night of Dec. 4, 2014, to demonstrate concerns over the chokehold death of a black man caused by a white police officer of the New York City Police Department. Eric Garner, a 43-year-old father of six, died in July 17 after police officers attempted to arrest him for allegedly selling loose, untaxed cigarettes on Staten Island, New York. 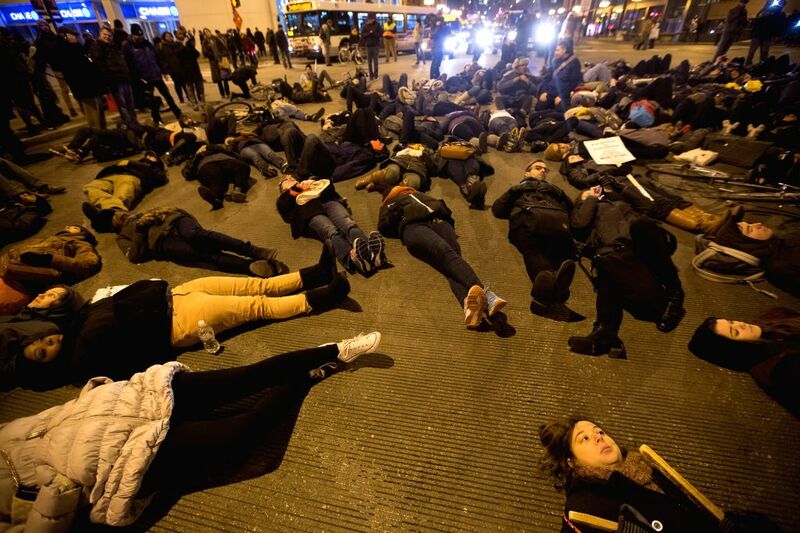 Protesters lie on a street of Chicago, the United States, on night of Dec. 4, 2014, to demonstrate concerns over the chokehold death of a black man caused by a white police officer of the New York City Police Department.